After many years of ground breaking design, testing and construction, finally the time has arrived for BLOODHOUND SSC to be demonstrated to the World. The critical testing and development process required to further the team’s process towards the world record attempt, will be carried out at Cornwall’s Airport in Newquay UK, in a three day event from the 26th to the 30th October. 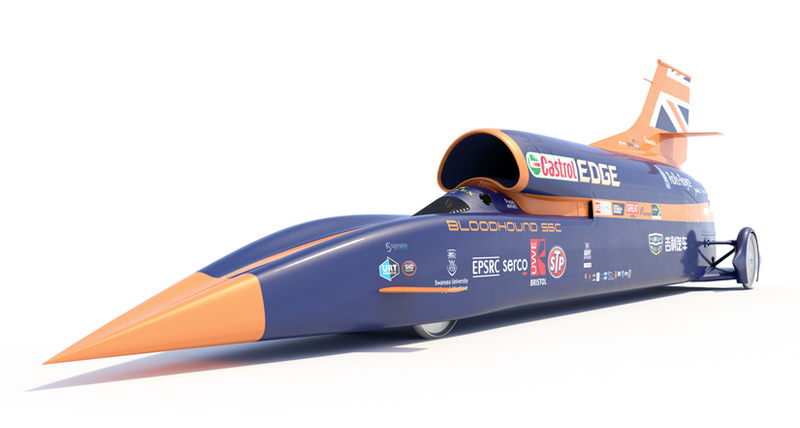 History will be made when Andy Green, current World Land Speed Record holder, will test BLOODHOUND SSC and all of her critical systems and components, powered for the first time by her own engines. This testing weekend will ensure that all of the systems on the car work as they are designed to. Modest speeds will be set during this test phase.